The holidays are wonderful time of year, a time to enjoy friends and family, parties and gatherings. We especially love having our homes and businesses decorated to evoke that spirit of the Season. However we don’t always have the time or energy or we are tired of our current décor and need a fresh new look to create that inviting and festive atmosphere. At Pillars of Silver, we are Holiday decorating experts!! We LOVE the Christmas season and all of the festivities it brings and we especially love to decorate for the season. 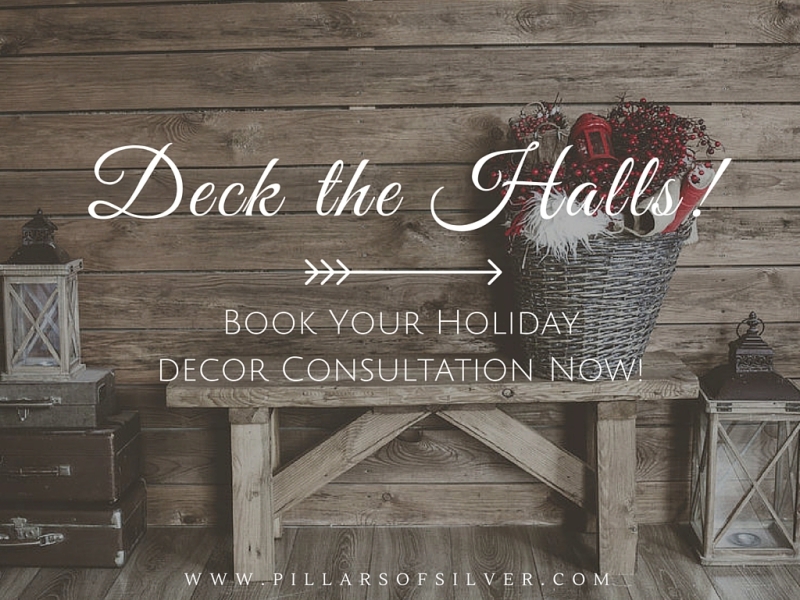 When you hire Pillars of Silver, we will come to your home, explore the rooms you wish to have decorated and will give you guidance on how to redecorate to create a fresh, new and festive space! We can use your existing decorations or purchase new or a mixture of both, whether you need a simple makeover or elaborate displays, for home or for your business, Pillars of Silver is there for you! We work within all budgets! Click here to be the first to receive updates, special offers, gatherings and events!